Former UAAP champion big man Jason Perkins is optimistic about the future of his former team, the De La Salle Green Archers, in the UAAP men’s basketball tournament. 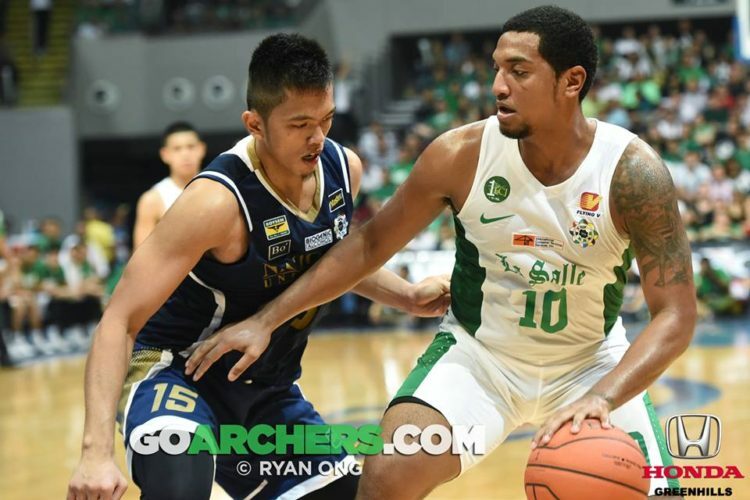 Perkins, who played for La Salle from 2013-2016, believes the improved environment and work ethic of the players and coaches in the team will be key factors in helping DLSU bounce back after the Green Archers missed the Final Four last season. The coach Perkins is referring to is Jermaine Byrd, the former NBA D-League mentor who arrived at La Salle in January to man the sidelines for the Green Archers. Although the university has yet to formally announce Byrd as DLSU’s new head coach, he’s taken charge of the team’s practices and led the boys in their recent Davao tournament. “I believe in those guys. I know how they work – they work really hard. I think they’re going to be pretty good,” said Perkins. The man who is known as “Hefty Lefty” knows a thing or two about hard work. Since entering the pros, Perkins has put in the effort to shed weight for the PBA game. He just had a superb rookie season with Phoenix, so much so that he was named the league’s Rookie of the Year. Many believe that Perkins should have been crowned ROY after his first year in college, although due to the UAAP’s rule that the award can only go to a true freshman, he did not get that distinction. Nevertheless, Perkins was named to the league’s Mythical 5 in 2013 and helped La Salle win a title against UST in the finals. “I didn’t even hear about the Rookie of the Year award in the UAAP until the season ended, but that year we ended up winning a championship and that’s all I really cared about,” he said. Perkins has the opportunity to add another accomplishment to his resume soon. His team, the Fuel Masters, is currently on top of the PBA PH Cup standings and is one of the favorites to win the conference title.